Once we get "In Your Business," you'll get more out of your business! 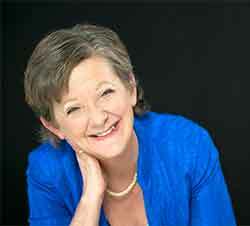 Susie Hayman, Professional Organizer and Efficiency Expert, founded In Your Business in 2002. The company is based in Richmond, VA and provides organizing and productivity services throughout the greater Richmond Metropolitan Area. Susie works with business owners, managers and employees to develop the systems and processes they need to be successful. With more than 14 years of experience in the organizing and productivity profession, Susie has increased employee productivity and organizational efficiency for small businesses, retailers, nonprofit organizations and home offices. In addition to working one on one with clients, she shares her organizing and business expertise with prospective and new professional organizers. Susie presents organizing, time management and productivity classes and workshops to businesses, organizations and community groups throughout the Richmond area. She also has developed classes on becoming a professional organizer and starting a professional organizing business, which she teaches to those interested in the organizing profession. Susie shares her organizing and efficiency tips through her newsletter, In Your Biz; the tips booklet, "Organize Your Small Business;" and by writing articles, locally and online, for professional and lifestyle publications. She has been featured as an expert on CBS "Virginia This Morning," WRVA radio morning show, and "Girlfriend We Gotta Talk!" radio show. 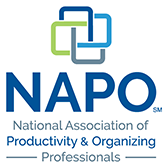 A graduate of the University of Georgia, Susie is a Golden Circle member of NAPO (National Association of Professional Organizers) and currently serves as Secretary of the NAPO Board of Directors. 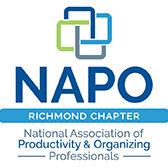 She is Past Chair of NAPO's Chapter Relations Committee, a Past President and founding member of NAPO-Richmond, a member of NAPO's Small Business Organizing Special Interest Group, and a Past President of N.E.W. (Network of Enterprising Women). Chris Hayman is a Business Consultant with over 30 years of experience in business strategy development and process improvement in the retail and wholesale industries. His specific areas of expertise include: purchasing and inventory management, merchandising, marketing, store operations and end-to-end supply chain management. A graduate of the University of Kentucky, Chris has experience in many retail and wholesale industry segments including grocery, discount, wholesale club, drug, convenience, specialty, home improvement and department stores. 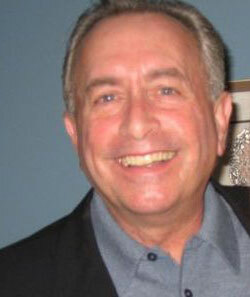 He has worked with both regional and national chains — JC Penny, Circuit City, Rosetta Stone, Kroger, Pearle Vision, NTELOS Wireless and Men's Wearhouse. Susie and Chris team up to help small businesses create efficient processes and organizing solutions that are tied to industry best practices. Uniting their experience and resources, they work together to in retail, real estate, insurance, securities/financial planning, advertising/marketing, education, healthcare, and nonprofit. Collectively, Susie and Chris can develop business and organizing strategies that improve customer satisfaction, increase profit, reduce costs, and boost productivity. Many of these easy-to-implement ideas and recommendations are "nuts and bolts" solutions, which will achieve immediate results. In Your Business provides professional organizing services to small business, home office and nonprofit clients in the greater Richmond, VA area, including and not limited to Short Pump, Glen Allen, Henrico, Goochland, Hanover, Mechanicsville, Chesterfield, and Midlothian.